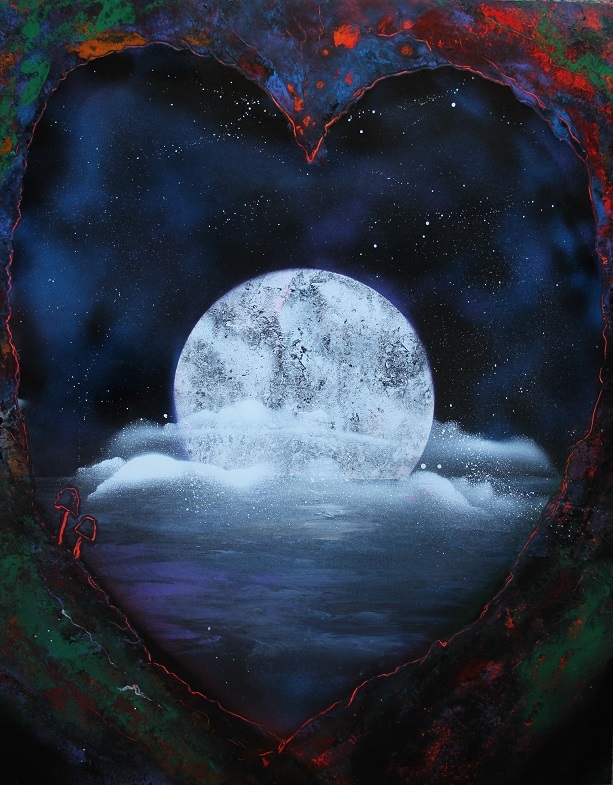 SKU: darkheartmoonspraypaintart. Category: Spray Paint Art. Tags: clouds, dark, heart, moon, mushrooms, spray paint art.